Members receive priority, non-members can sign up for the waitlist. Learning with Dr. Avivah Gottlieb Zornberg Option 1: Tuesday, May 14, 7:00 PM ONLY: Large Kitchen community lecture. If you are not a Kitchen member, but would like to be put on the waitlist for a seat to this event, please email Elise. Chaya Gilboa is Program Director of the Hartman Institute-Hebrew College Hevruta Gap Year-Pre-Army Program for North American and Israeli high school graduates. Prior to joining Hevruta, she was scholar-in-residence at Paideia: The European Institute for Jewish Studies in Sweden, where she developed the innovative Experiential European Jewish Educators Program and held seminars and workshops on Jewish education. Chaya also has served as a Jewish Agency Shlicha to Russia and Ukraine, directed Israel programs at the UC Berkley Hillel, worked as an instructor at ALMA College, and co-founded and directed Zirey Kayitz (‘Summer Seeds”). She served as an Israeli government policy intern, strategizing and developing world Jewry and Jewish identity policy for MK Tzipi Livni. She has a BA in Jewish Philosophy and History from Ben Gurion University and an MA in Public Policy from the Hebrew University. Her thesis entitled, “The Haredi Women of Startup Nation,” focuses on the religion-state relationship. Rabbi Dr. Donniel Hartman is President of the Shalom Hartman Institute and holds the Richard and Sylvia Kaufman Family David Hartman Chair. He is author of the highly regarded 2016 book,Putting God Second: How to Save Religion from Itself. 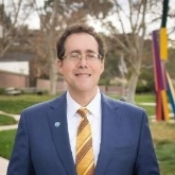 Donniel is the founder of some of the most extensive education, training and enrichment programs for scholars, educators, rabbis, and religious and lay leaders in Israel and North America. He is a prominent essayist, blogger and lecturer on issues of Israeli politics, policy, Judaism, and the Jewish community. He has a Ph.D. in Jewish philosophy from Hebrew University, an M.A in political philosophy from New York University, an M.A. in religion from Temple University, and Rabbinic ordination from the Shalom Hartman Institute. He is the author of The Boundaries of Judaism, co-author of Spheres of Jewish Identity, and co-editor of Judaism and the Challenges of Modern Life. He is working on his next book, which is entitled, Who Are The Jews? He is married to Adina and is the father of three children and three grandchildren. 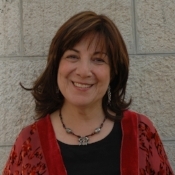 Rachel Korazim is a Jewish education consultant specializing in curriculum development for Israel and Holocaust education. 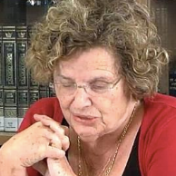 Until 2008 she was the Academic Director of distance learning programs at the Jewish Agency's Department of Education. Born in Israel, she served as an IDF officer in the central training base for women and was later a member of the IDF delegation to Niger (West Africa). She is a graduate of Haifa University with a Ph.D. in Jewish education. Dr. Korazim has vast experience in Jewish education in Israel, the US, Canada, Latin America, and Europe. She is a founder of a special program for soldiers from disadvantaged backgrounds. She is involved with Jewish education worldwide. Since 1990, she has invested time and energy in helping emerging Jewish schools of Hungary. Dr. Tomer Persico is a research fellow and Scholar in Residence of the Shalom Hartman Institute and Koret Visiting Assistant Professor of Jewish and Israel Studies at U.C. Berkeley. Dr. Persico's fields of study are contemporary spirituality, Jewish renewal, and forms of secularization and religiosity in Israel. His book, The Jewish Meditative Tradition (Hebrew), dealing with techniques of meditation in the Jewish tradition and analyzing cultural transformations leading to the observed shifts in meditative emphasis through generations, was published by Tel Aviv University Press. Tomer is an activist for freedom of religion in Israel, writes the most popular blog in Hebrew on religion, and has written hundreds of articles on these subjects for popular media. Dr Avivah Zornberg was born in London and grew up in Glasgow, Scotland, where her father was a Rabbi and the head of the Rabbinical Court. She studied with him from childhood; he was her most important teacher of Torah. She holds a BA and PhD in English Literature from Cambridge University. After teaching English literature at the Hebrew University in Jerusalem, she turned to teaching Torah. For the past thirty years, she has taught Torah in Jerusalem at Matan, Yakar, Pardes and the Jerusalem College for Adults. Dr. Zornberg also holds a Visiting Lectureship at the London School of Jewish Studies. She travels widely, lecturing in Jewish, academic and psychoanalytic settings. The Hartman Jewish Leadership Project: Transformative Education for Change Agents and Institutions in the San Francisco Bay Area is made possible through generous funding from the Koret Foundation.